Daddy Wouldn't Buy Me a Bow-Wow. Copyright, 1882, by Francis, Day & Hunter. When teacher says, "Why do you bring that little pet of yours?" 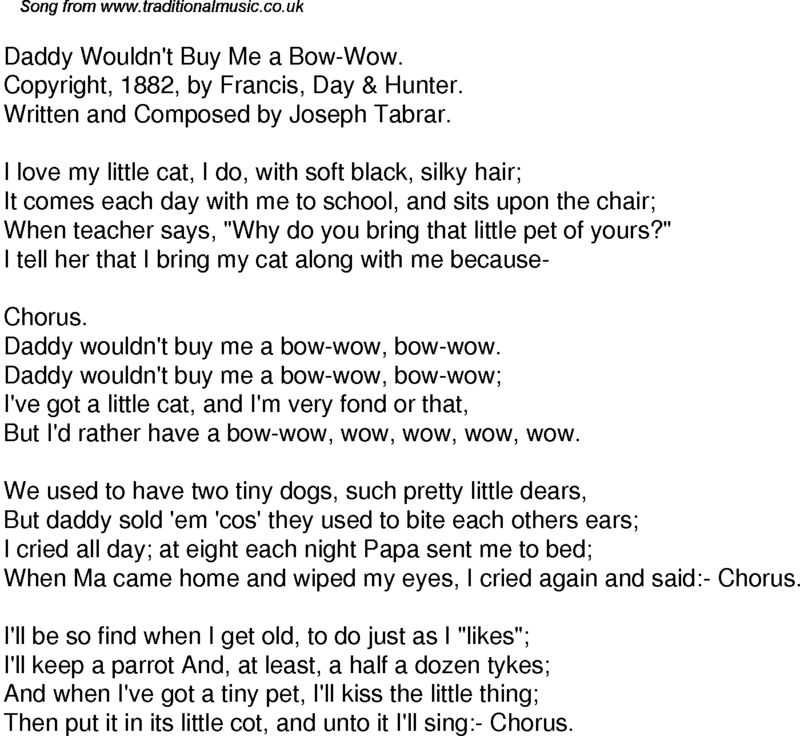 Daddy wouldn't buy me a bow-wow, bow-wow. But I'd rather have a bow-wow, wow, wow, wow, wow. When Ma came home and wiped my eyes, I cried again and said:- Chorus. Then put it in its little cot, and unto it I'll sing:- Chorus.